When the Spanish conquistadores arrived, the Inca empire extended along the Pacific coast and Andean highlands of South America from the northern border of modern Ecuador, through the whole of Peru, and as far south as the Maule River in central Chile. 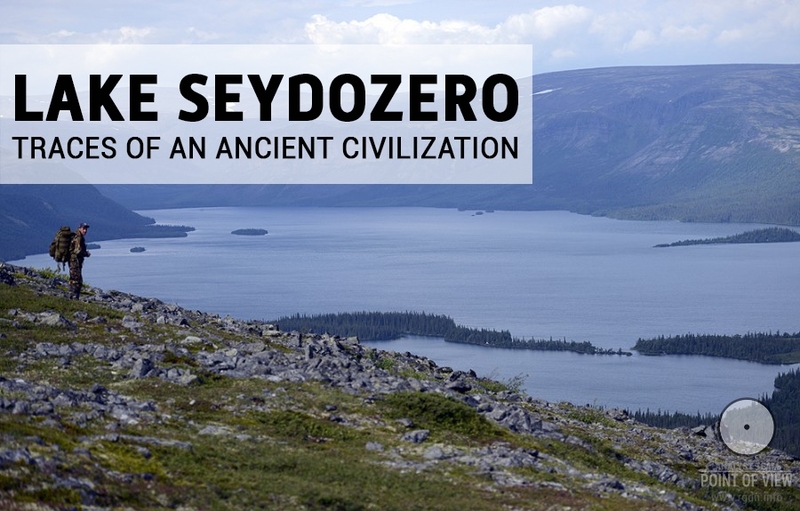 Connecting the far-flung corners of this empire was a vast and sophisticated road system: two parallel north-south highways, for example, one running for 3600 kilometres along the coast and the other for a similar distance through the Andes. Both these great thoroughfares were paved and connected by frequent links. In addition, they exhibited an interesting range of design and engineering features such as suspension bridges and tunnels cut through solid rock. 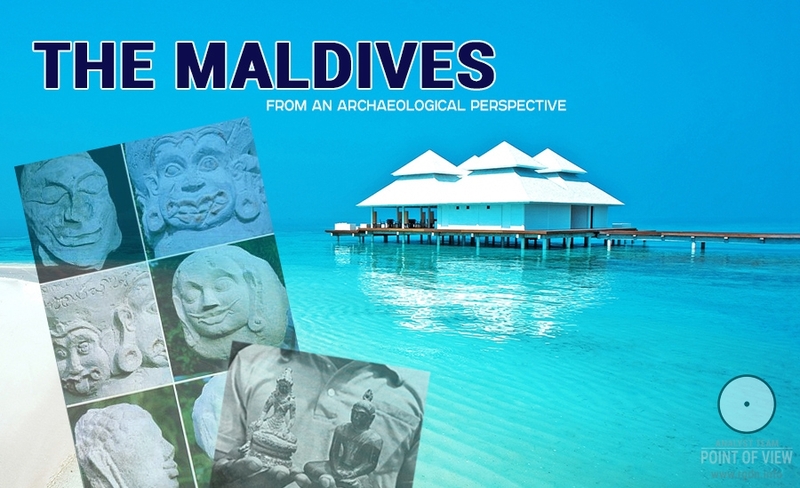 They were clearly the work of an evolved, disciplined and ambitious society. Ironically, they played a significant part in its downfall: the Spanish forces, led by Francisco Pizarro, used them to great effect to speed up their advance into the Inca heartland. The capital of the Inca Empire was the city of Cuzco, a name meaning ‘the earth’s navel’ in the local Quechua language. According to legend it was established by Manco Cápac and Mama Occlo, two children of the Sun. 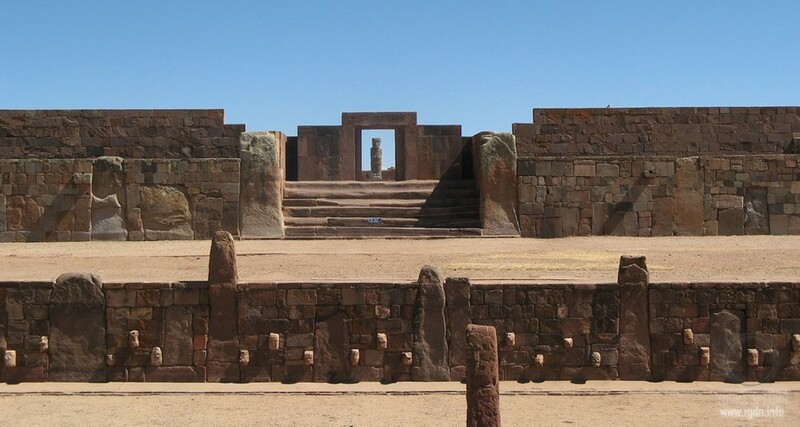 Here, though the Incas worshipped the sun god, whom they knew as Inti, quite another deity was venerated as the Most Holy of all. This was Viracocha, whose namesakes were said to have made the Nazca lines and whose own name meant ‘Foam of the Sea’. No doubt it is just a coincidence that the Greek goddess Aphrodite, who was born of the sea, received her name because of ‘the foam [aphros] out of which she was formed’. Besides, Viracocha was always depicted uncompromisingly as a male by the peoples of the Andes. That much about him is known for certain. No historian, however, is able to say how ancient the cult of this deity was before the Spanish arrived to put a stop to it. 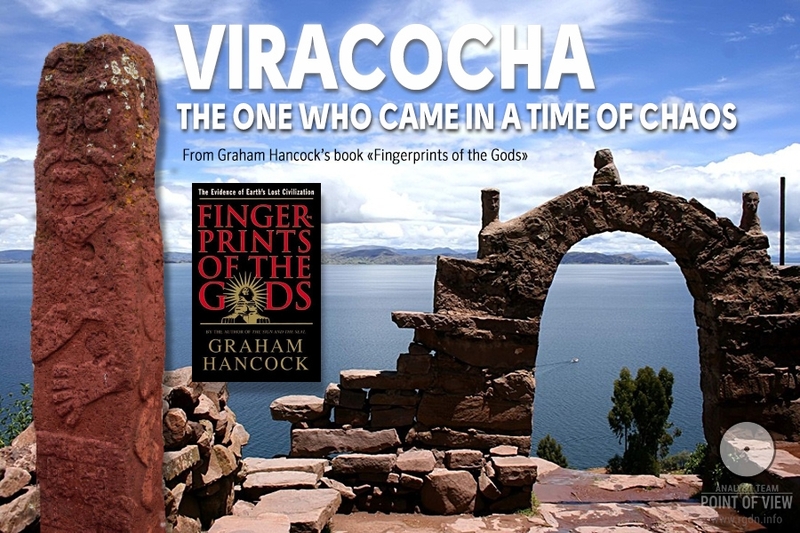 This is because the cult seemed always to have been around; indeed, long before the Incas incorporated him into their cosmogony and built a magnificent temple for him at Cuzco, the evidence suggests that the high god Viracocha had been worshipped by all the civilizations that had ever existed in the long history of Peru. It seemed that in the early sixteenth century, before the Spanish began to demolish Peruvian culture in earnest, an idol of Viracocha had stood in the Holy of Holies of the Coricancha. According to a contemporary text, the Relacion anonyma de los costumbres antiguos de los naturales del Piru, this idol took the form of a marble statue of the god – a statue described ‘as to the hair, complexion, features, raiment and sandals, just as painters represent the apostle Saint Bartholomew’. Other accounts of Viracocha likened his appearance to that of the Saint Thomas. I examined a number of illustrated ecclesiastical manuscripts in which these two saints appeared; both were routinely depicted as lean, bearded white men, past middle age, wearing sandals and dressed in long, flowing cloaks. As we shall see, the records confirmed this was exactly the appearance ascribed to Viracocha by those who worshipped him. Whoever he was, therefore, he could not have been an American Indian: they are relatively dark-skinned people with sparse facial hair. Viracocha’s bushy beard and pale complexion made him sound like a Caucasian. Back in the sixteenth century the Incas had thought so too. Indeed their legends and religious beliefs made them so certain of his physical type that they initially mistook the white and bearded Spaniards who arrived on their shores for the returning Viracocha and his demigods, an event long prophesied and which Viracocha was said in all the legends to have promised. This happy coincidence gave Pizarro’s conquistadores the decisive strategic and psychological edge that they needed to overcome the numerically superior Inca forces in the battles that followed. Who had provided the model for the Viracochas? Working great miracles by his words, he came to the district of the Canas and there, near a village called Cacha... the people rose up against him and threatened to stone him. They saw him sink to his knees and raise his hands to heaven as if beseeching aid in the peril which beset him. The Indians declare that thereupon they saw fire in the sky which seemed all around them. Full of fear, they approached him whom they had intended to kill and besought him to forgive them... Presently they saw that the fire was extinguished at his command, though stones were consumed by fire in such wise that large blocks could be lifted by hand as if they were cork. They narrate further that, leaving the place where this occurred, he came to the coast and there, holding his mantle, he went forth amidst the waves and was seen no more. And as he went they gave him the name Viracocha, which means ‘Foam of the Sea’. The legends were unanimous in their physical description of Viracocha. In his Suma y Narracion de los Incas, for example, Juan de Betanzos, a sixteenth-century Spanish chronicler, stated that according to the Indians, he had been ‘a bearded man of tall stature clothed in a white robe which came down to his feet and which he wore belted at the waist’. In one legend Thunupa-Viracocha was said to have been a ‘white man of large stature, whose air and person aroused great respect and veneration’. In another he was described as ‘a white man of august appearance, blue-eyed, bearded, without headgear and wearing a cusma, a jerkin or sleeveless shirt reaching to the knees’. In yet another, which seemed to refer to a later phase of his life, he was revered as ‘a wise counsellor in matters of state’ and depicted as ‘an old man with a beard and long hair wearing a long tunic’. Above all else, Viracocha was remembered in the legends as a teacher. Before his coming, it was said, ‘men lived in a condition of disorder, many went naked like savages; they had no houses or other dwellings than caves, and from these they went forth to gather whatever they could find to eat in the countryside’. Viracocha was credited with changing all this and with initiating the long-lost golden age which later generations looked back on with nostalgia. All the legends agreed, furthermore, that he had carried out his civilizing mission with great kindness and as far as possible had abjured the use of force: careful instruction and personal example had been the main methods used to equip the people with the techniques and knowledge necessary for a cultured and productive life. In particular, he was remembered for bringing to Peru such varied skills as medicine, metallurgy, farming, animal husbandry, the art of writing (said by the Incas to have been introduced by Viracocha but later forgotten), and a sophisticated understanding of the principles of engineering and architecture. I had already been impressed by the quality of Inca stonework in Cuzco. As my research in the old town continued, however, I was surprised to discover that by no means all the so-called Inca masonry could be attributed with any degree of archaeological certainty to the Incas. It was true that they had been masters in the manipulation of stone, and many monuments in the Cuzco area were indisputably their work. It seemed, however, that some of the more remarkable structures routinely attributed to them could have been erected by earlier civilizations; the evidence suggested that the Incas had often functioned as the restorers of these structures rather than their original builders. The same appeared to be true of the highly developed system of roads connecting the far-flung parts of the Inca Empire. The reader will recall that these roads took the form of parallel highways running north to south, one along the coast and the other through the Andes. All in all more than 15,000 miles of surfaced tracks had been in regular and efficient use before the time of the Spanish conquest, and I had assumed that the Incas had been responsible for all of them. I now learned that it was much more likely that they had inherited the system. Their role had been to restore, maintain and unify a pre-existing network. Indeed, though it was not often admitted, no expert could safely estimate how old these incredible highways were or who had built them. The mystery was deepened by local traditions which stated not only that the road system and the sophisticated architecture had been ‘ancient in the time of the Incas’, but that both ‘were the work of white, auburn-haired men’ who had lived thousands of years earlier. One legend described Viracocha as being accompanied by ‘messengers’ of two kinds, ‘faithful soldiers’ (huaminca) and ‘shining ones’ (hayhuaypanti). Their role was to carry their lord’s message ‘to every part of the world’. The Viracochas, said the ancient myths, the bearded, white-skinned strangers, the ‘shining ones’, the ‘faithful soldiers’. As we travelled I continued to study the accounts of the Spanish adventurers and ethnographers of the sixteenth and seventeenth centuries who had faithfully recorded the ancient, pre-contact traditions of the Peruvian Indians. What was particularly noticeable about these traditions was the repeated emphasis that the coming of the Viracochas had been associated with a terrible deluge which had overwhelmed the earth and destroyed the greater part of humanity. It was with understandable reluctance that I turned at last to my reading. 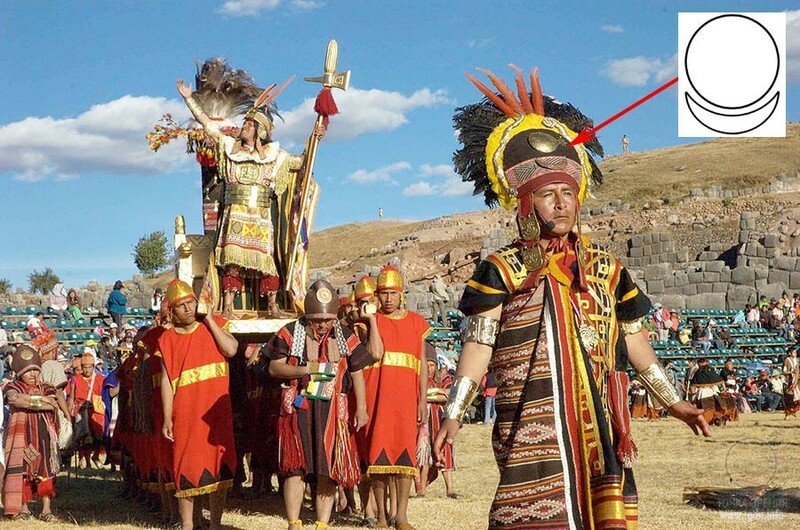 I wanted to look more closely at some of the curious links I thought I had identified connecting the sudden appearance of Viracocha to the deluge legends of the Incas and other Andean peoples. The great Creator God, Viracocha, decided to make a world for men to live in. First he made the earth and sky. Then he began to make people to live in it, carving great stone figures of giants which he brought to life. At first all went well but after a time the giants began to fight among themselves and refused to work. Viracocha decided that he must destroy them. Some he turned back into stone... the rest he overwhelmed with a great flood. Very similar notions were, of course, found in other, quite unconnected, sources, such as the Jewish Old Testament. In Chapter six of the Book of Genesis, for example, which describes the Hebrew God’s displeasure with his creation and his decision to destroy it, I had long been intrigued by one of the few descriptive statements made about the forgotten era before the Flood. 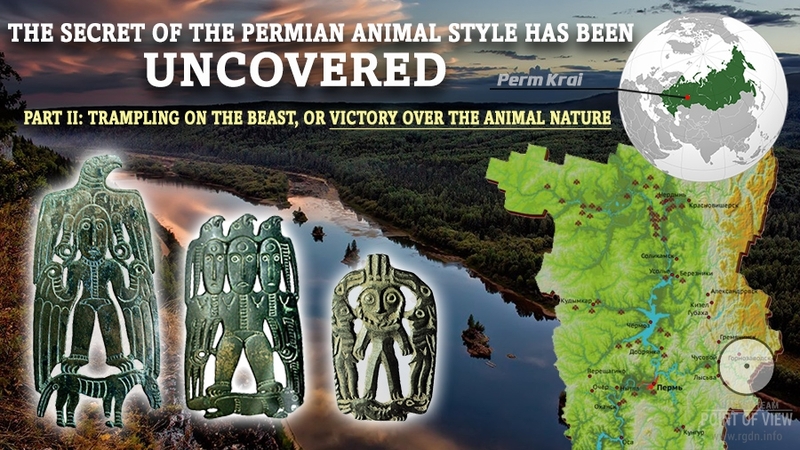 According to the enigmatic language of that statement, ‘There were giants in the earth in those days...’ Could the ‘giants’ buried in the biblical sands of the Middle East be connected in some unseen way to the ‘giants’ woven into the fabric of pre-Colombian native American legends? Adding considerably to the mystery was the fact that the Jewish and Peruvian sources both went on, with many further details in common, to depict an angry deity unleashing a catastrophic flood upon a wicked and disobedient world. That man had been Viracocha. Wrapped in his cloak, he was strong and august of countenance, and walked with unassailable confidence through the most dangerous badlands. He worked miracles of healing and could call down fire from heaven. To the Indians it must have seemed that he had materialized from nowhere. We were now more than two hours into our journey to Machu Picchu and the panorama had changed. Huge black mountains, upon which not a trace of snow remained to reflect the sunlight, towered darkly above us and we seemed to be running through a rocky defile at the end of a narrow valley filled with sombre shadows. The air was cold and so were my feet. I shivered and resumed reading. One thing was obvious amid the confused web of legends I had reviewed, legends which supplemented one another but also at times conflicted. All the scholars agreed that the Incas had borrowed, absorbed and passed on the traditions of many of the different civilized peoples over whom they had extended their control during the centuries of expansion of their vast empire. In this sense, whatever the outcome of the historical debate over the antiquity of the Incas themselves, nobody could seriously dispute their role as transmitters of the ancient belief systems of all the great archaic cultures – coastal and highland, known and unknown – that had preceded them in this land. Viracocha himself, with his two assistants, journeyed north... He travelled up the cordillera, one assistant went along the coast, and the other up the edge of the eastern forests... The Creator proceeded to Urcos, near Cuzco, where he commanded the future population to emerge from a mountain. 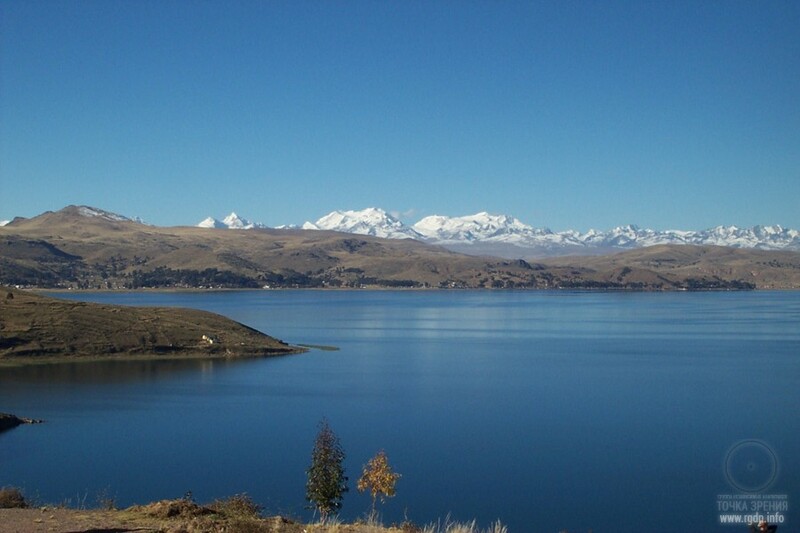 He visited Cuzco, and then continued north to Ecuador. There, in the coastal province of Manta, he took leave of his people and, walking on the waves, disappeared across the ocean. Viracocha went on his way, calling forth the races of men... When he came to the district of Puerto Viejo he was joined by his followers whom he had sent on before, and when they had joined him he put to sea in their company and they say that he and his people went by water as easily as they had traversed the land. Always this poignant goodbye… and often a hint of science or magic. 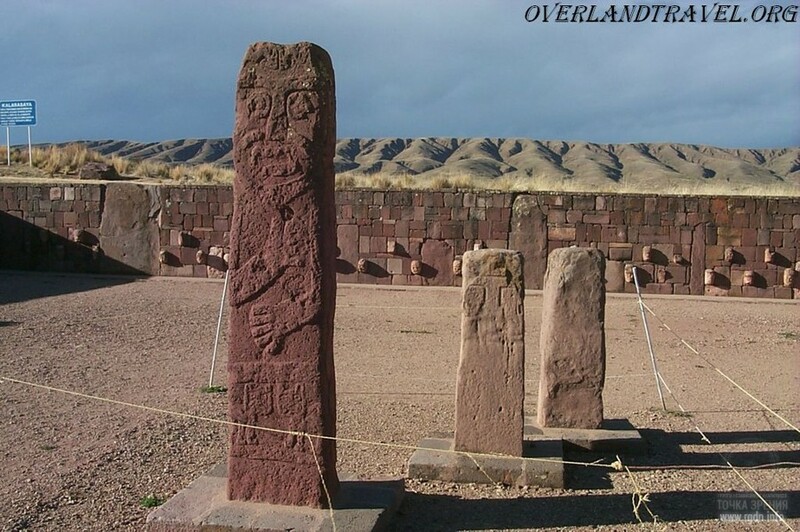 Thunupa appeared on the Altiplano in ancient times, coming from the north with five disciples. A white man of august presence, blue-eyed, and bearded, he was sober, puritanical and preached against drunkenness, polygamy and war. 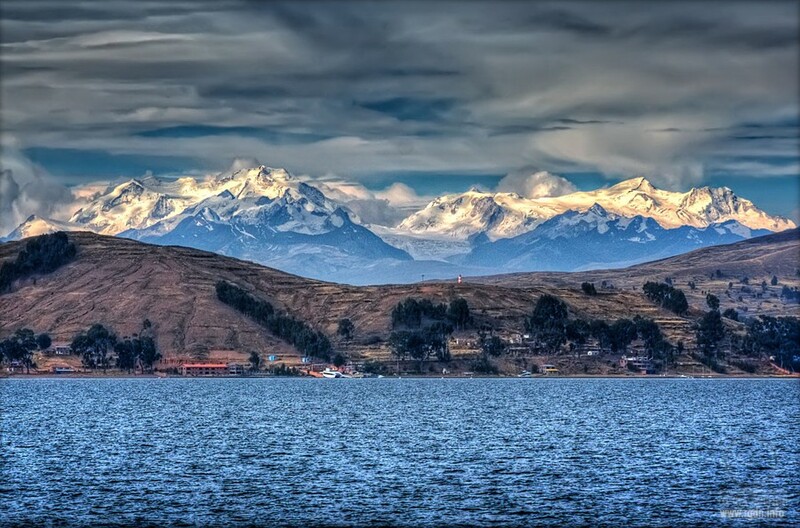 They put his blessed body in a boat of totora rush and set it adrift on Lake Titicaca. There ... he sailed away with such speed that those who had tried so cruelly to kill him were left behind in terror and astonishment – for this lake has no current ... The boat came to the shore at Cochamarca, where today is the river Desguardero. Indian tradition asserts that the boat struck the land with such force it created the river Desguardero, which before then did not exist. And on the water so released the holy body was carried many leagues away to the sea coast at Africa. There are curious parallels here to the story of Osiris, the ancient Egyptian high god of death and resurrection. The fullest account of the original myth defining this mysterious figure is given by Plutarch and says that, after bringing the gifts of civilization to his people, teaching them all manner of useful skills, abolishing cannibalism and human sacrifice, and providing them with their first legal code, Osiris left Egypt and travelled about the world to spread the benefits of civilization to other nations as well. He never forced the barbarians he encountered to accept his laws, preferring instead to argue with them and to appeal to their reason. It is also recorded that he passed on his teachings to them by means of hymns and songs accompanied by musical instruments. While he was gone, however, he was plotted against by seventy-two members of his court, led by his brother-in-law Set. On his return the conspirators invited him to a banquet where a splendid coffer of wood and gold was offered as a prize to any guest who could fit into it exactly. Osiris did not know that the coffer had been constructed precisely to his body measurements. As a result, when the assembled guests tried one by one to get into it they failed. Osiris lay down comfortably inside. Before he had time to get out the conspirators rushed forward, nailed the lid tightly closed and sealed even the cracks with molten lead so that there would be no air. The coffer was then thrown into the Nile. It had been intended that it should sink, but it floated rapidly away, drifting for a considerable distance until it reached the sea coast. At this point the goddess Isis, wife of Osiris, intervened. Using all the great magic for which she was renowned, she found the coffer and concealed it in a secret place. However, her evil brother Set, out hunting in the marshes, discovered the coffer, opened it and, in a mad fury, cut the royal corpse into fourteen pieces which he scattered throughout the land. Once more Isis set off to save her husband. She made a small boat of papyrus reeds, coated with pitch, and embarked on the Nile in search of the remains. When she had found them she worked powerful spells to reunite the dismembered parts of the body so that it resumed its old form. Thereafter, in an intact and perfect state, Osiris went through a process of stellar rebirth to become god of the dead and king of the underworld – from which place, legend had it, he occasionally returned to earth in the guise of a mortal man. both eventually reached the sea. Are such parallels to be dismissed as coincidences? Or could there be some underlying connection? The image I could not get out of my mind was of the Viracocha people leaving, ‘walking on the waters’ of the Pacific Ocean, or ‘going miraculously’ by sea as so many of the legends told.